The N.T. speaks of two separate experiences, both of which are described as receiving the Holy Spirit. This means it is possible for a Christian to have received the Holy Spirit in one use of the expression but not in the other. We see a similar thing in Acts 8:5-19 where Philip the Evangelist has a very successful mission to Samaria and many were converted and baptised in water v12; but Peter and John went down from Jerusalem and prayed for them to receive the baptism in the Holy Spirit, “for as yet He had fallen (an interesting word) upon none of them”. When the apostles laid hands on them they received the Holy Spirit with obvious evidence – v18 &19. A similar event is recorded in Acts 19:1-6 where 12 men become Christians and are baptised in water v5. Then Paul places his hands on them and they are baptised in the Holy Spirit with evidence of tongues and prophecy v6. So there are three clear scriptural examples of receiving the Holy Spirit at the new birth (being born of the Spirit) and being baptised in the Holy Spirit later. The exception to this order of events is in Acts 10 where Cornelius and his household were born again at the same time as being baptised in the Holy Spirit, with obvious evidences as on the day of Pentecost. Immediately the Apostle Peter commanded them to be baptised in water. This was an exceptional situation to demonstrate to Peter and the other, “all Jewish” Christian community that the gospel was also for the Gentiles. It also shows that if some are converted and then baptised in the Holy Spirit before they are baptised in water, they are not outside the examples of scripture. In this Acts 10 account and Peter’s subsequent recalling of the event he uses the following phrases: “The Holy Spirit fell upon them”; “had been poured out on” them; they “received the Holy Spirit;” they were “baptised in the Holy Spirit”; “God gave them the same gift of the Holy Spirit” – (as he did to the apostles at Pentecost), Acts 10:44,45; Acts 11:15-17. 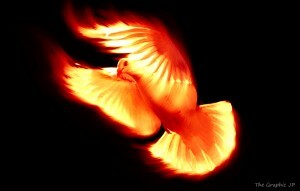 It is normal for a Christian to receive the Holy Spirit as a separate and subsequent experience, following conversion. Even if a person receives the Holy Spirit baptism at conversion, receiving the Holy Spirit still remains, logically, a distinct experience from being converted. Whether a person receives the Holy Spirit baptism at conversion or after conversion, the evidence that that person has received the Holy Spirit baptism still remains the same: the person speaks with tongues as the Holy Spirit enables them. The fact that a person has been genuinely converted does not by itself constitute evidence that that person has received the baptism in the Holy Spirit. The other thing to say is that in Luke 11:13 Jesus says his “heavenly Father will give the Holy Spirit to those who ask him”. This clearly implies that it is a gift that every converted believer has a right to ask for; but there is an obligation to ask specifically for this gift of the Holy Spirit. This Baptism in the Holy Spirit was not only predicted by John the Baptist and recorded in all 4 gospels; but Peter says in his Acts 2:39 sermon that “this promise is for you and your children and for all who are afar off– for all whom the Lord our God will call”. In Acts 2 the Holy Spirit came upon each individual and each was filled and then each one overflowed with speech in a language they hadn’t learned, but which was recognised by others. I have been in a meeting when this has happened. The language was spoken by a Swedish man leading the meeting in English; but his supernatural language was a far Eastern French dialect, and was translated (not interpreted) by a man present in the meeting who was a Belgian linguistic professor from Brussels! On all four occasions in Acts where people were baptised in the Holy Spirit, supernatural manifestations followed. These made it clear to the recipients and the onlookers alike that the Holy Spirit had come. In all this don’t forget that the Holy Spirit is a PERSON, not just a power, who continues the ministry of Jesus through us, His people. Quite often entering into the experience of these wonderful truths involves inward wrestling with personal issues because both baptisms are major steps forward in the Christian life.